Jakarta is overflowing with hip clubs and bars catering to all tastes. But if we want a snapshot of Jakarta’s current artistic pulse head to Taman Ismail Marzuki in Cikini. The center of Arts in Jakarta, Taman Ismail Marzuki, also known as TIM, is a complex located on Cikini Raya Street 37, Jakarta. Those who are looking for traditional and contemporary arts might find this place useful. This complex acquired its name from the great Indonesian musician, Ismail Marzuki, whose statue guards the entrance gate. It hosts the Institut Kesenian Jakarta (Jakarta Institute for the Arts) and Jakarta Platenarium. The arts institute is the only one of its kind in Indonesia and the first local college entirely dedicated to the training of performing and visual arts. There are modern, state-of-the-art theatres and cinemas, more traditional auditoriums, street performers and a cornucopia of restaurants and bars offering basic but tasty food and drink from all over Indonesia. The patrons range from the young, trendy, keen-to-be-seen set to bohemian artistes debating the latest trends. Jakarta is overflowing with hip clubs and bars catering to all tastes. But if we want a snapshot of Jakarta’s current artistic pulse head to Taman Ismail Marzuki in Cikini. 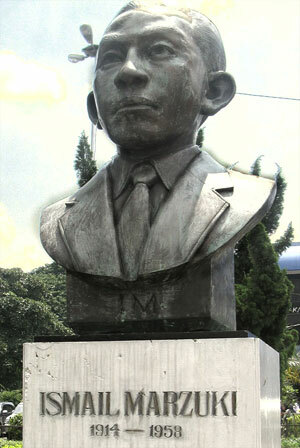 The center of Arts in Jakarta, Taman Ismail Marzuki, also known as TIM, is a complex located on Cikini Raya Street 37, Jakarta. Those who are looking for traditional and contemporary arts might find this place useful.